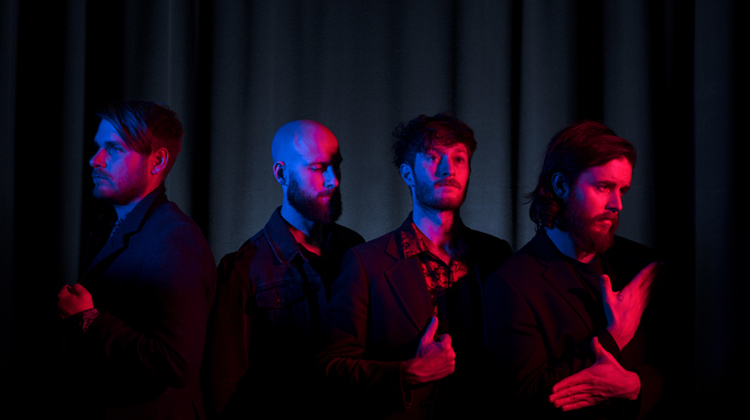 Giant Party are a soul-splashed four piece based in London Town. On 18th August 2017 they release their self-titled debut EP via Label Fandango. The EP release includes the singles ‘Ambulances’ and an extended version of ‘Tongue Tied Lightning’ both tracks have a cool, slinky, subtle funk feel to them, which is casually reminiscent of Blood Orange and Twin Shadow. The EP has a diverse feel to it with melody rich tracks like ‘Nighttalk’ and ‘Kisses’ being a dark synth hugging nod to the likes of LCD Soundsystem and recent Wild Beasts releases. For Giant Party have perfected a sound which is living in the ‘80s but also alive to the thrilling pan-generic possibilities of the modern age. The live show is a smoothly genteel riot of fluorescent lights and fluid, lithe grooves, embodied by a guitarist throwing around a Spandau Ballet fringe and a singer rolling around the stage amidst the shocking pinks and luminous lime greens. Far from any throwback tribute act however, Giant Party behave like an already-excellent alt.rock band who have just discovered the silky delights of Top Of The Pops circa 1982. It’s a live show that takes the audience a journey, a journey where you never quite know what is around the next corner. It’s been a knowingly nonchalant development thus far: last October Giant Party snuck out ‘Where Have You Been?’, a do-it-yourself release which DIY Mag compared to Wild Beasts and Field Music while opining: “There’s a constant threat that something sinister lurks around the corner – always a bonus in the stakes of a crafty, creepy pop song.” To promote previous springtime Label Fandango single ‘Ambulances’ they headlined The Old Blue Last in April and played The Great Escape festival in May, packing out both venues with their hectic live show, shocking pinks and all. The single was also championed by Elton John on his Beats 1 Rocket Hour show. Their second single ‘Tongue Tied Lightning’ followed and was premiered by Noisey on 5th July, while picking up radio play on Virgin and BBC Introducing. The Arosa is a rising four-piece alternative indie band, formed in the Midlands. 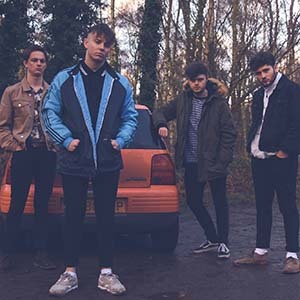 With a strong electric pulse to all their tunes, and a wide variety of brit pop and indie influences, their music has something for everyone, and that’s before they hit the stage! The band originally formed during secondary school where four friends started jamming together, then later deciding on making it public. 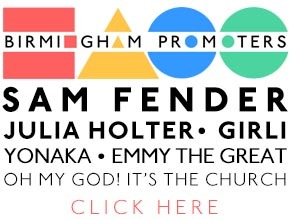 Since then, The Arosa have gone on to play countless shows at some of Birmingham’s most prestigious live venues including the O2 Institute, The Sunflower Lounge, The Flapper and O2 Academy! Plus, that’s not all as the band are set to head out on a five-day nationwide tour in 2018, performing in Wrexham, Manchester, Bristol, Birmingham and London. Batsch are an indie pop quartet based in Coventry, England. Their smart, groove-oriented dance-pop takes nods from classic art rock like Talking Heads as well as modern contemporaries, such as Little Dragon and Dutch Uncles. The band formed in 2013 but the collaborations of singer/guitarist Mason Le Long, bassist Joe Carvell, drummer Matt Rheeston and keyboardist Andy Whitehead date back further. A previous incarnation of the band, DON’T MOVE!, released its only album, ‘The New Pop Sound’, on Tin Angel Records in 2009. 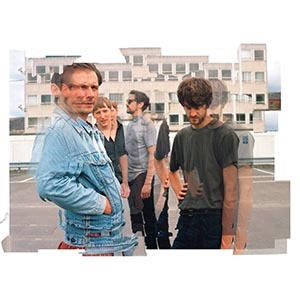 All four members have also toured extensively with other artists, including Laetitia Sadier, Marker Starling, Devon Sproule and Nicholas Krgovich, many of whom are also on Tin Angel’s roster, putting Batsch at the epicentre of the British label’s cult international scene.